Most businesses underestimate how hard it is to change people’s behavior. There is an assumption built into most marketing and advertising campaigns that if a business can just get your attention, give you a crucial piece of information about their brand, tell you about new features, or associate their brand with warm and fuzzy emotions, that they will be able to convince you to buy. On the basis of this assumption, most marketing departments focus too much on persuasion. Each interaction with a potential customer is designed to change their beliefs and preferences. Once the customer is convinced of the superiority of a product, they will naturally make a purchase. And once they’ve made a purchase, then that should lead to repeat purchases in the future. This all seems quite intuitive until you stop thinking about customers as an abstract mass and start thinking about them as individuals. In fact, start by thinking about your own behavior. How easy is it for you to change? Consider your own daily obsession with email and multitasking. Chances are, you check your email several times an hour. Every time you notice that the badge with the number of new emails has gotten larger, you click over to your browser, and suddenly you are checking your emails again. This happens even when you would be better off focusing your efforts on an important report you are supposed to be reading or a document you should be writing. You may recognize that multitasking is bad and that email is distracting, but that knowledge alone does not make it easy to change your behavior. If you are a company, you might think it would be easy to sell this person a solution to their problem. However, it’s not as easy as that – there are deeply ingrained habits here that won’t just go away. Let’s go through some of what is required to create different habits. The point is to recognize how much work goes into changing behavior. First, you have to optimize your goals. Many people err in behaviors like email by focusing on negative goals. That is, they want to stop checking their email so often. The problem with these negative goals is that you cannot develop a habit to avoid an action. You can only learn a new habit when you actually do something. For marketers, this means focusing on how to get consumers to interact with products rather than just thinking about them. As an example, our local Sunday newspaper often comes in a bag with a sample product attached that encourages potential consumers to engage with products. Second, you need a plan that includes specific days and times when you will perform a behavior. For example, many people find that they work most effectively first thing in the morning, yet they come to work and immediately open up their email program and spend their first productive hour answering emails (many of which could have waited until later). So, put together a plan to triage email first thing in the morning and answer the five most important emails and leave the rest until later in the day. Now that many people have calendar apps that govern their lives, it gets easier to put things on people’s schedule to keep them engaged with a business. For example, services from hair salons to dentists can schedule appointments and send an email that links to Outlook and Google calendars. Third, you need to be prepared for temptation. Old behaviors lurk in the shadows waiting to return. If you have an important document to read, and you know that you will be tempted to check your email, find a conference room in the building and use that as a home base away from your computer to get your reading done. To keep customers from falling back into the “bad habit” of stopping off at the drugstore for oops-we-ran-out-of-it products like laundry detergent or diapers, Amazon makes it easy to schedule regular shipments right to your home. You never need to stop at the drugstore again – or even to remember to check how much laundry detergent is left in the bottle. Fourth, you need to manage your environment. Make the desired behaviors easy and the undesired ones hard. If you want to avoid multitasking, then remove as many of the invitations to multitask from your IT environment. Close programs (like Skype) that have an IM window. Only open your email program at times of the day when you are willing to check email. Shut off push notifications on your phone when you have an important task to complete. Marketers need to work with their designers to come up with packaging that encourages consumers to put the product into their environment. As I discuss in my book Smart Change, Procter & Gamble helped increase sales of the air refresher Febreze by redesigning a bottle that originally looked like a window cleaner bottle (and cried out to be stored in a cabinet beneath the sink) to one that was rounded and decorative (and could easily be left out on a counter in a visible spot). Finally, you need to engage with people. Many people feel pressure to accomplish important goals alone, but there is no shame in getting help from others. Find productive people within your organization and seek them out as mentors to help you develop new habits. The “positive peer pressure” technique is frequently used in service companies and organizations like Weight Watchers and Alcoholics Anonymous, but can be used by any business that’s trying to encourage repeat visits. For instance, a fitness center might offer a few free or discounted personal training sessions to new members to help them get in the habit of working out – and making them less likely to quit. None of these factors works by itself. You need to create a comprehensive plan to change your behavior. Otherwise, the constant temptations to multitask will sap your productivity despite your best intentions. This same set of principles applies for marketers. No matter how motivated consumers may be to try your product or service, or how unhappy they may be with their current situation, if you do not focus on a comprehensive plan for changing their behavior, then you are unlikely to have a significant influence on them. 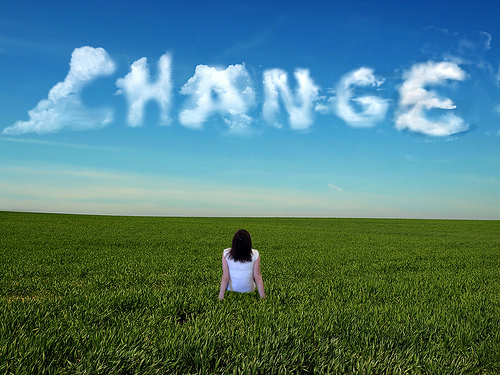 Your business will not succeed just by trying to change attitudes and preferences. You will succeed by helping people to develop goals, create plans, overcome temptations, manage their environment and engage with others. You will influence your customers only when you give them as much support as you would need to change your own behavior.